Egyptians will head to the polls on March 26-28 in the first round of presidential election. Sisi expected to win. Egyptians will head to the polls on March 26-28 in the first round of a presidential election, National Elections Authority chief Lasheen Ibrahim said Monday, according to AFP. A second round will be held on April 24-26 if necessary, he added. Ibrahim said the commission would accept applications from presidential hopefuls between January 20 and 29. "The provisional list of candidates and the numbers of their supporters will be published" in state-run newspapers Al-Ahram and Al-Akhbar on January 31, he said. Once appeals by rejected candidates are settled, "the final list of candidate names and their symbols will be announced and published in the official gazette and Al-Ahram and Al-Akhbar newspapers" on February 24, he said. That date will mark the official start of the campaign, which will run until March 23. Final results will be announced on May 1. 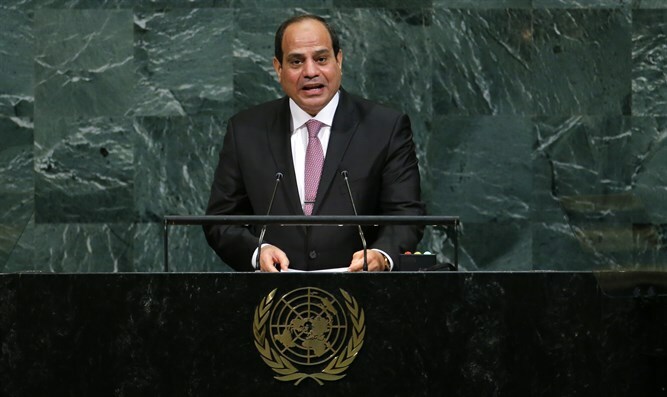 Though he has not officially announced his candidacy, incumbent Abdel Fattah Al-Sisi is widely expected to stand for re-election and win in the first round. Sisi, a former army chief, was elected president in 2014, a year after leading the military to oust his predecessor, Mohammed Morsi of the Muslim Brotherhood, amid mass protests against the Islamist's year-long rule. Sisi’s supporters recently collected more than 12 million signatures from people urging him to run for another four-year term. If Sisi does run and win, it would appear it would be his last term in office. He recently told CNBC in an interview that he would not seek a third term in office, noting the country's constitution permits its leaders to serve only two four-year terms. So far it is unclear who will challenge Sisi for the presidency. Former prime minister Ahmed Shafiq had announced he would run in 2018, but on Sunday backtracked and announced he would not be a candidate, explaining he came to realize he was not the right person for the job.